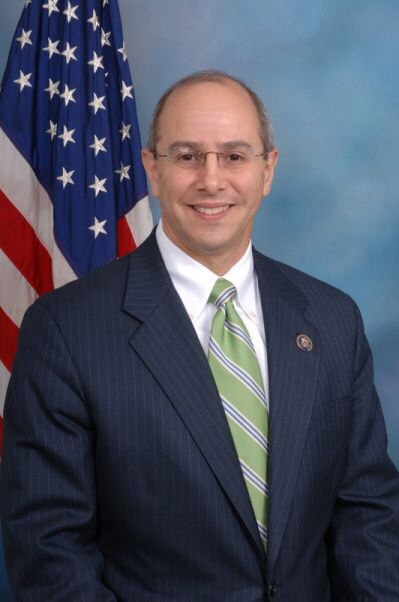 (Lafayette, LA) – Dr. Charles Boustany (R-Lafayette) sent a letter urging the President to issue a Major Disaster Presidential Declaration for Allen, Ascension, Avoyelles, Cameron, Calcasieu, East Baton Rouge, East Feliciana, Iberia, Iberville, Jefferson Davis, Lafayette, Livingston, Pointe Coupee, St. Helena, St. Landry, St. Martin, St. Tammany, Tangipahoa, Vermilion, Washington, and West Feliciana parishes. Currently, only East Baton Rouge, Livingston, St. Helena and Tangipahoa parishes have received a federal disaster declaration. On Sunday, August 14, in response to historic flooding, both Louisiana Governor Edwards and the Louisiana Congressional delegation sent letters to the President urging him to expedite a federal disaster declaration for Allen, Ascension, Avoyelles, Cameron, Calcasieu, East Baton Rouge, East Feliciana, Iberia, Iberville, Jefferson Davis, Lafayette, Livingston, Pointe Coupee, St. Helena, St. Landry, St. Martin, St. Tammany, Tangipahoa, Vermilion, Washington, and West Feliciana parishes. The declaration will provide vital resources to protect our communities and support the recovery effort. Late Sunday night, the Federal Emergency Management Agency (FEMA) sent notification that four of the requested 23 parishes were declared a federal disaster. In light of more than 20,000 individuals rescued, over 10,000 people forced from their homes, and the 15 rivers throughout south and central Louisiana that are in record flood stage, Dr. Boustany sent a letter urging President Obama to the fulfill the State of Louisiana’s full request for a Major Disaster Presidential Declaration and allow Louisiana to continue its rescue missions and begin rebuilding efforts. I write to you in support of the State of Louisiana's full request for a Major Disaster Presidential Declaration as a result of unprecedented rainfall and flooding. On Friday, August 12, Governor Edwards declared a state of emergency for the entire state of Louisiana. All of us throughout Louisiana are thankful for the federal government's quick response to our request for an emergency declaration, provided on August 14, 2016 for four specific parishes. The situation remains precarious as rivers, bayous, canals and streams continue to rise throughout the state. I urge you to grant the State of Louisiana's request for all parishes affected by the rainfall and historic flooding, specifically: Individual Assistance for Allen, Ascension, Avoyelles, Cameron, Calcasieu, East Baton Rouge, East Feliciana, Iberia, Iberville, Jefferson Davis, Lafayette, Livingston, Pointe Coupee, St. Helena, St. Landry, St. Martin, St. Tammany, Tangipahoa, Vermilion, Washington and West Feliciana, to include Categories A and B under the Public Assistance program and Hazard Mitigation statewide. According to most recent reports, over 20,000 people have been rescued and five people have died as a result of flooding caused by historic amounts of rain falling on South Louisiana. As of Sunday night, more than 10,000 people have arrived at shelters scattered throughout the state. Rescue workers are currently focusing on search and rescue missions of people who need to be evacuated from residences, nursing homes and vehicles. Complicating matters more, the state Department of Transportation and Development has also reported the closure of about 200 roads, including more than 30 washouts of state highways. Another 1,400 critical bridges need to be inspected before traffic can freely travel over them. Reports indicate that 15 rivers throughout South Louisiana are in record flood stage. The National Weather Service is predicting more rain throughout the region. As the waters continue to rise in parts of South Louisiana, creating the need for additional evacuations and rescue operations, a Major Disaster Presidential Declaration for all parishes impacted by the rainfall and flooding would go a great length to help ease the fear and uncertainty for many Louisianans. Thank you again for your quick response to the Governor's request. Posted on August 15, 2016 by Christopher J. Gary and filed under Charles Boustany, Louisiana and tagged Louisiana Charles Boustany.